iMENTORS is a one-stop-shop data warehouse on all e-infrastructure development projects of Sub-Saharan Africa. By mapping e-infrastructure initiatives, our aim is to help scientists, universities, research and education networks as well as policy-makers and international donors gain valuable insights on the gaps and progress made in the region and to enhance the coordination of international actors involved in ICT initiatives in this part of the world. Are you or your organisation involved or detain information about any large-scale or local e-Infrastructure and ICT related project in the region? 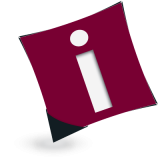 The iMENTORS e- newsletter keeps you abreast of any new project developments and relevant topics. Do you know other people interested in receiving information about iMENTORS? Let them know! According to an article published on Science|Business, there’s a long tradition of offering scientists prize money to solve specific problems. After making the first such payment – of €2M for a way of preserving vaccines without refrigeration - the EU is planning more prize give-aways. The EU is to go ahead with offering €20 million in prize money to scientists who deliver solutions to pressing and seemingly intractable problems, after making the first such award under a pilot project launched in 2012. Future prizes, to be announced and issued in 2015, are expected to cover health, transport, energy and materials, and renewable biological resources, with the money coming from the Horizon 2020 R&D budget. iMENTORS is mapping terrestrial networks in Sub-Saharan Africa. The goal is to identify areas on the map underserved by network operators and providers. These areas also represent good opportunities for governments and the private sector to invest in e-infrastructure projects. NET4SOCIETY, the network of National Contact Points for research in the field of Social Sciences and Humanities is organising a transnational conference which will take place in Athens at the National Hellenic Research Foundation on 26 and 27 February 2014 on the occasion of the Greek EU Council presidency. The aim of iMENTORS is to help scientists, universities, research and education networks as well as policy-makers and international funders to gain valuable insights on the gaps and progress made in the region and to identify synergies when planning future ICT initiatives within the African continent. Search for Connect 4 Change and many other ICT-related projects in the iMENTORS database! The latest addition to the iMENTORS database is the Connect 4 Change project. Connect 4 Change is a consortium of five Dutch development and ICT organizations collaborating to accelerate the realization of the Millennium Development Goals through the use of ICT. The program supports ICT initiatives in the areas of education, health and agricultural and economic development, and members of the consortium have funded nearly sixty different ICT projects in Africa. The consortium works with local partners in many different countries, including Burkino Faso, Ghana, Kenya, Malawi, Mali, Tanzania, Uganda, and Zambia. Louis Papaemmanuel, Director of the iMENTORS project was invited to speak at the Headquarters of the African Union in Addis Ababa, in the framework of the AUC Internet/ICT Week held on Dec. 2-6 2013. The week is part of a series of events organised to celebrate the 50th anniversary of the formation of the Organization of African Unity (OAU) / African Union (AU). iMENTORS goes live and is one step closer to becoming the most comprehensive crowdsourcing map on ICT infrastructures in Sub-Saharan Africa! Users are now able to register and create their profile on the platform and start sharing their knowledge and data directly on the map. The 15th Africa-EU Joint Task Force meeting was held to review the 8 Partnership areas of the Joint Africa-Europe Strategy (JAES), including Priority 8 for Science, Information Society and Space. The aim of the meeting was to assess recent progress and agree on priorities for 2013 in each area. For Priority 8 it was acknowledged that progress had been made but that more could be achieved. A number of areas for enhanced collaboration were identified and will be developed, such as continuing the successful EU-supported AU Research Grants and the Kwame Nkrumah Scientific Awards programmes, as well as helping build Africa’s capacities, such as the Pan African Intellectual Property Organisation (PAIPO) and the African Observatory for STI (AOSTI). Copyright © 2014 iMENTORS. All rights reserved.